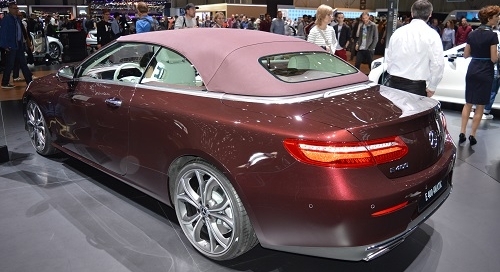 The new E-Class convertible is simply a cool looking convertible car, with the roof up or with it down tucked away. Take a look at the inside of this one with its Designo styled interior. Just make sure you have clean clothes before getting in. Whilst in there you will find that it just oozes Rodeo … Continue reading NEW MERCEDES BENZ E-CLASS COUPE AND CONVERTIBLE. GENEVA MOTORSHOW BLOG 2017.